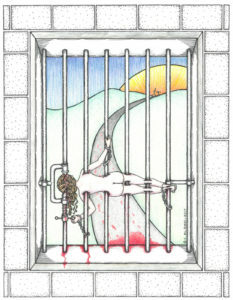 She is walking free out of the door into the night, the opposite time of day as in the original. She is unchained, walking courageously and proudly out. 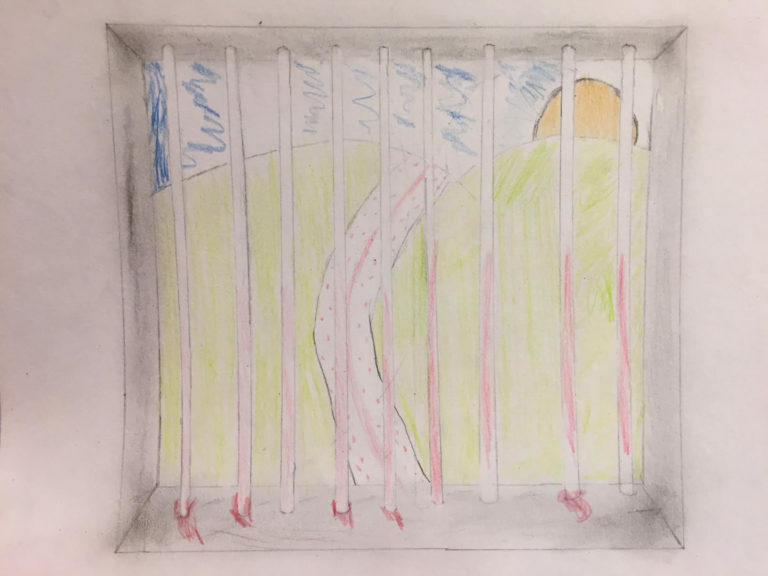 The bars are behind her and the path into the future goes towards the sky. The seasons pass by. Time either moves very fast or very slowly when you are in jail. I can only imagine. The weather must feel so different from where you are. 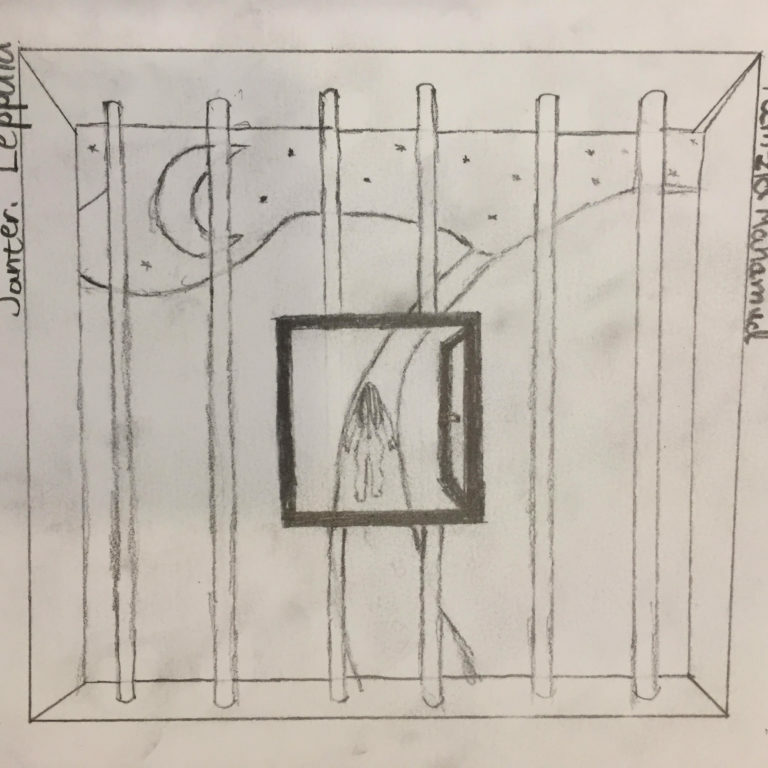 I feel like this piece shows the body and soul die slowly and mercilessly and rot in jail while the prisoners only joy is to get see the beautiful world, so nature. 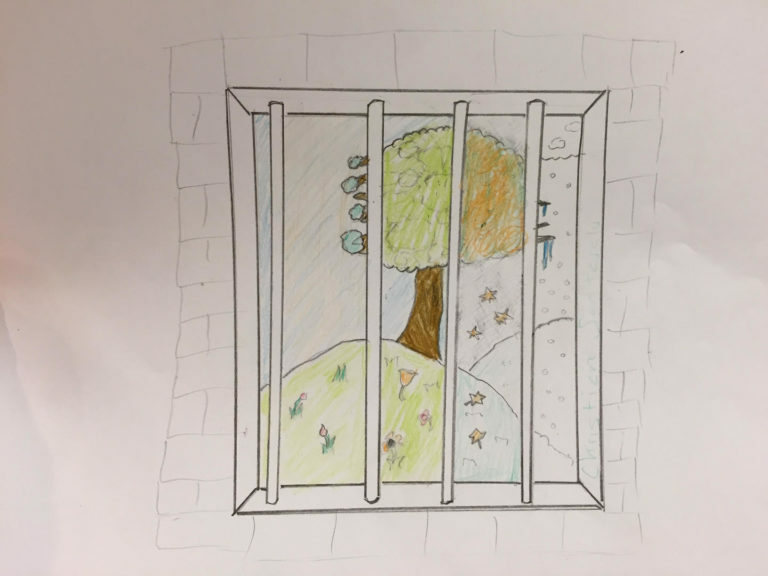 Furthermore, I think it in a way portrays that fact that people who are free take basic things we see everyday like trees and the sky and fresh air very and just sort of disregard them.